Looking ahead, European gas hubs have started Q219 with gas stocks up 17bcm year-on-year, at around 25bcm. The outlook for gas prices is therefore relatively bearish as LNG is expected to continue to flood into the market, and encourage further coal-to-gas switching. Brent crude oil prices rose for the third consecutive month, up 4.1% to average $66.9/bl in March, peaking above $68.2/bl in the middle of the month. President Donald Trump for OPEC to raise output to stop prices rising. Concerns that the ongoing US-China trade war will dampen global economic growth has continued to create an uncertain outlook for demand this year. API 2 coal prices experienced a third consecutive monthly decline, down 3.7% to average $75.7/t in March. Coal prices have fallen amid weak demand in the Northern Hemisphere, as both Europe and Asia faced temperatures well above seasonal normal levels. 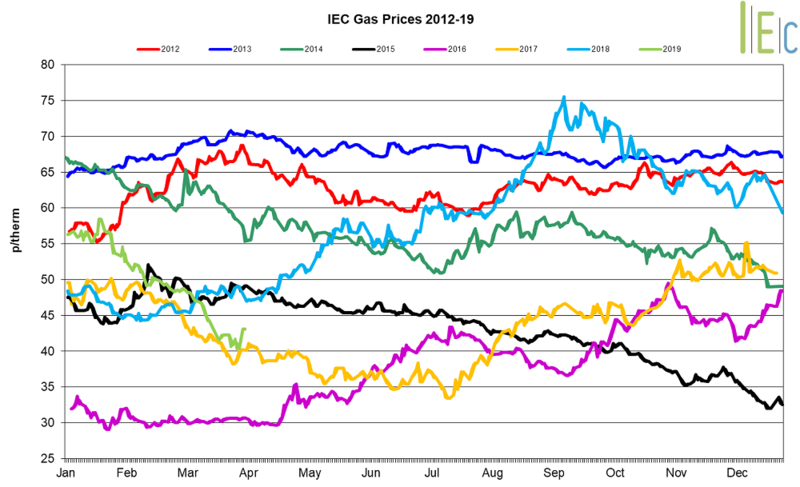 Cheaper gas prices throughout Europe have resulted in more favourable gas-fired generation margins and has pushed coal-fired generation further out of the generation mix. EU ETS carbon prices reversed the previous month’s decline, rising 4.5% to average €22.0/t. 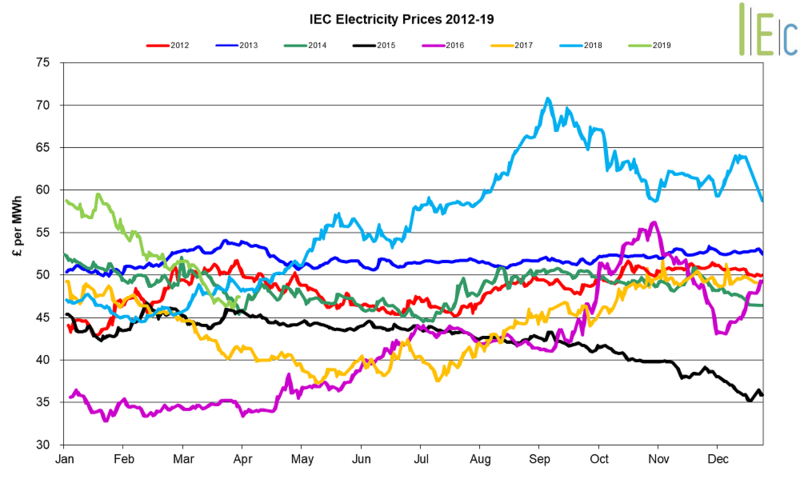 Prices rose above €23.0/t on 8 March; however, traders suggested the recovery was unsustainable as temperatures remained above seasonal normal levels across Europe and low gas prices were pushing coal-fired power plant out of the generation mix. Brexit negotiations continue to add uncertainty to the EU ETS market, but the news that a ‘hard-Brexit’ has been ruled out for 29 March, and an unconditional extension has been set for 12 April with the potential for a further delay until 22 May, has provided some respite for falling carbon prices.